Gates Foundation gives $100 million to fight polio. For every $1 Rotary receives in donations from our members and friends towards Polio eradication the Bill and Melinda Gates Foundation gives Rotary $2 to spend in ridding the world of polio. 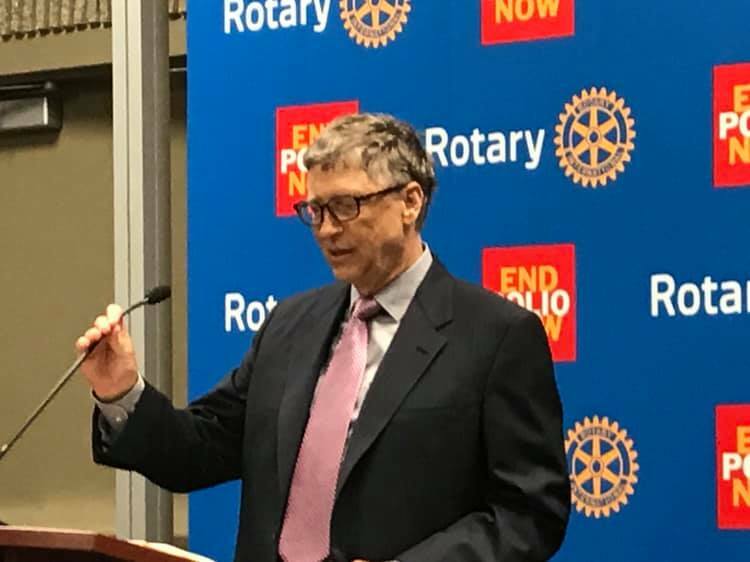 Thanks to the generosity of Rotarians and others over the past year the Gates Foundation transferred $100 million to Rotary for its End Polio Now campaign. Thank you to all Rotarians near and far and to the Bill and Melinda Gates Foundation.